Quadros Systems, Inc. | ARM - Quadros Systems, Inc.
Find out more about Quadros Systems software and services for the ARM family of Cortex MCUs and MPUs. ARM-base microcontrollers and microprocessors are the most popular choices for Quadros Systems customers. 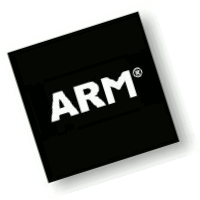 The combination of low power, high performance, multiple second source options, well-designed development tools and a large ecosystem make ARM an ideal choice for almost any embedded application. We support microcontrollers and processors from NXP, ST, Atmel, Freescale, TI, Xilinx, and many others. These processors offer a range of on-chip peripherals to support a variety of embedded applications at an attractive price. Quadros Systems has been supplying embedded software for ARM-based systems for almost 10 years and has wide ranging support for almost all of the available cores. RTXC RTOS is delivered in source code with a working project and sample code using IAR EWARM, Atollic TrueSTUDIO, ARM DS-5 or Keil MDK-ARM tools.